Carole Estby Dagg worked as children’s librarian, CPA, and assistant library director before beginning to write historical fiction. Her first book, THE YEAR WE WERE FAMOUS, was based on the true story of her suffragist great-grandmother’s 4,000-mile walk with her daughter across the country in 1896. The book won the Sue Alexander Award for most promising new manuscript and went on to earn a starred review in Publisher’s Weekly, a WILLA award, and a place on the American Library Association’s 2012 Amelia Bloomer list of best feminist fiction. She recently sold a book set in Alaska during the 1930’s to Nancy Paulsen and her imprint at Penguin, and is researching and writing a book set in the San Juan Islands during the mid-1800’s. Under the supervision of a bossy cat, she writes in Everett, WA in a converted woodshed on San Juan Island. What Have I Done in the Name of Research? Climbing part of the Chilkoot Trail, sewing Victorian undergarments, bidding on 115-year-old postcards on e-Bay–this is research for historical fiction? In my case, yes. For me, research isn’t just piling up reference books and printing off internet articles. Research is getting into the heads of my characters and into the times and places my characters go. For each book, I start with background reading to familiarize myself with the period, speech patterns, and interests of people of the time. For The Year We Were Famous, about Clara and Helga Estby’s walk across the country in 1896, I read about six million words of biographies of people my main characters met, diaries of people similar to my characters, popular books–including dime novels–of the time, women’s magazines of the 1890‘s and histories and geographies of places they passed through. As I began to write, I researched the details I need for each scene, such as the elevation of the pass through the Blue Mountains, the history of Underwood typewriters. frontier treatments for blisters, or the eating habits of cougars. 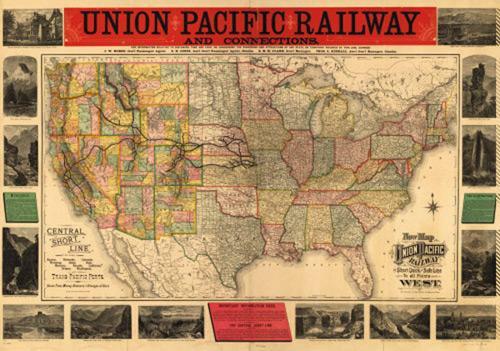 I studied old railroad maps to work out a plausible day-by-day itinerary for the whole 232-day trek and scrolled through miles of microfilms of newspapers which chronicled their walk. 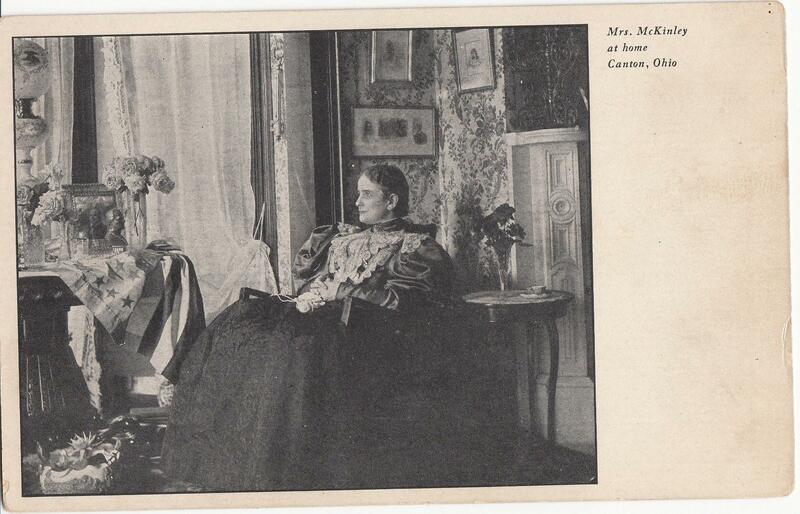 An unlikely source, eBay, yielded detailed descriptions of antique items and period postcards of people Clara and Helga met met and places they passed through. 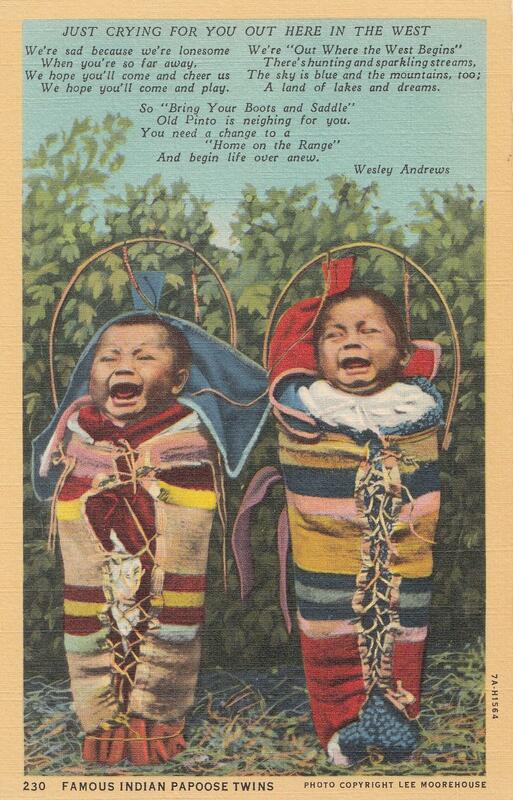 Sometimes a postcard inspired a whole chapter, such as the one I bought of twin Cayuse papooses in their cradleboards and the one of Mrs. William McKinley in her rocking chair. Trying to imagine what it would have been like to walk across the country, I drove part of the route my characters took, taking notes and poking in at little history museums along the way. Further getting into character, I found patterns for clothing of the 1890’s and sewed a Gibson Girl shirtwaist and Victorian under-drawers, right down the three rows of pin-tucks on the ruffles. I walked a mile in reproduction Victorian shoes, and prowled antique stores to find items such as a curling iron and match safe that were similar to the ones they carried. For another book, I hiked what is reportedly the hardest part of the Chilkoot Trail. Since I turn 70 this year and am barely five feet tall, I sometimes had one person above me to pull and one person behind me to push, but I did it. For the book I’m working on now, I climbed a slippery 45 degree slope to peel off madrona tree bark and pick the madrona berries before the birds got them all. According to one research source. Lummi Indians made tea from the bark and mixed the berries into various dishes. If my main characters used the tea and berries, I had to know how they tasted, didn’t I? By the end of my first draft, I usually have a banker’s box full of file folders. Typically, headings include chronology, character backstories, natural world, period slang, popular culture, calendars for the years the book covers, maps, transportation, period recipes, and brief biographies of historical characters. Each book also prompts folders with headings of subjects needed just for that book, such as Civil War statistics, Appalachian speech patterns, Lummi Indian tree burials, sheep guardian dogs, reef net fishing, feeding baby ravens, how to grow a champion pumpkin, sled dogs, and how to make jellied moose nose. In case you are hungry for jellied moose nose, you’ll find the recipe in Northward Ho!, coming out in 2016. Sometimes research starts as an intrusive clump of data into a scene, but as I revise, I find ways to unobtrusively feather in bits of research in a more natural way. At the end, ninety-eight per-cent of my research never makes it directly into the book, but it has helped pull me into each scene as I write. I hope the details my research uncovers make a difference for my readers! First of all, I loved The Year We Were Famous, and can’t wait to read Carole’s new books! Secondly, thanks for sharing your research process! I love going above and beyond the reference section, too. My research has led me to developing a love for traditional baking and preservation of food (I just made a sourdough loaf this morning), knitting, and a love for horses, among other things. You can’t get that from an online article! Wasn’t a spectacular read? I have always been fascinated by the bits and pieces of Carole’s process. So happy she’s given us such a glimpse into her world. 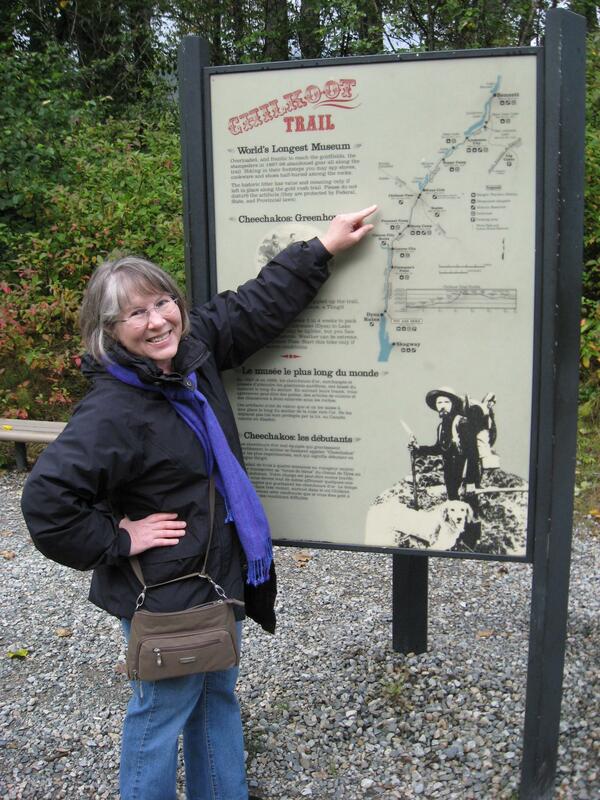 I am a huge fan of Carole and her work — so cute, that pic of her and the Chilkoot Trail map. 🙂 Very excited for the Alaska book!! Thanks for sharing! Me too on all counts! I’m extra jealous of the Chilkoot experience.